This card will change your life! 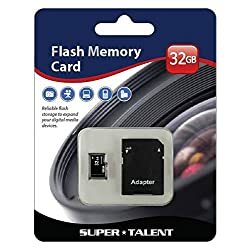 Super Talent 32GB Micro SDHC Memory Card w/ Adapter, Retail Coming in at nearly $50,000, this 32 GB Micro SD card changed my life. Before buying this, I had a normal, boring life. Just a family, a house, a 9-to-5 job, a nice car. My phone's storage was never on my mind. After my purchase, I have lost my job, my car, my house, and even my family left me. The bank is after me for all my payments. I live and breathe and sleep with this card in phone by my side, even though I no longer have service on it.